Design Burd Inc.East End Home Co. | Design Burd Inc. 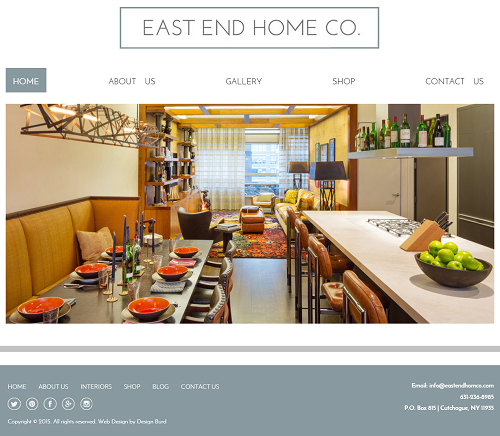 Located on the Eastern End of Long Island, East End Home Co. is a local Interior Design firm and Boutique. The site designed to display the many projects of the firm as well as sell products that represent the brand. The site offers both a Wordpress Content Management System as well as full eCommerce functionality. Using WooCommerce the site allows for products to be sold as well as used as a second level portfolio. The site offers a fully responsive theme with a focus on using the site as a selling tool and display the portfolio.